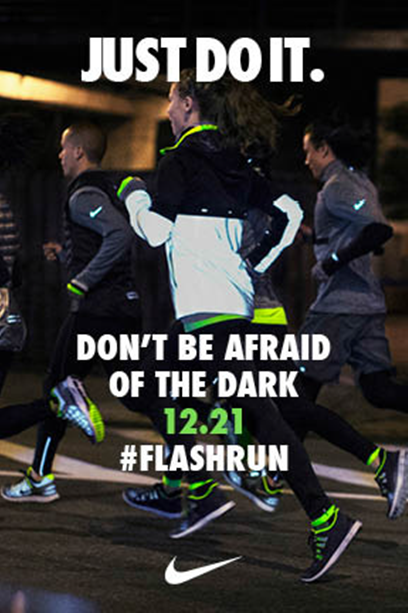 Join Fleet Feet Sports Madison to light up the darkest night of the year Saturday December 21st. Prepare to meet at 6:15PM at Fleet Feet Sports Madison dressed in your most reflective gear and get ready for a 3 mile fun run combined with some “unique” assignments along the route. Together we rise to make the longest night of the year the most active one in history! All levels of runners and walkers are welcome to participate. Meet at Fleet Feet Sports Madison at 6:15pm & please wear holiday lights, blinking lights, reflective gear and your happy face! We are going to run, take pics and do 5 fun activities along the approximate 3 mile route. Even when you have to wait for others who are running, you will still be moving! Come out to run, and play, with Fleet Feet and Nike! There may even be some prizes and beverages...See you there. We can always walk, and I can shorten course. We will cancel by 3pm if the weather is still bad. Watch facebook posts for cancellations. Don’t be afraid of the dark. 12/21. #FLASHRUN.